It's quite unbelievable how many people have already done a class with me either in E&O Hotel or at my own Nazlina Spice Station. Some of my former students became good friends, others returned to the class, with or without bringing spouse or other friends. Some students send their relatives and friends months later. You can read some of their testimonials here. But there have many others too. The most legend is of course Lonely Planet. There is a little story to tell about them. Unknown to me they visited, and were so impressed I went straight in the LP Malaysia. Lonely Planet came back in 2012. This time bringing family with him. And it was only one of the many articles that would be published over the years. Am I bragging? If you say so. But look here: USA Today did a nice article. The UK newspaper the Daily Telegraph came with a great article and photo, already in 2010. The same year the class was named in AirAsia's monthly magazine. But these articles were peanuts by what would happen soon after: the BBC filmed Nazlina on location for a program where Nazlina would show how to prepare nasi lemak. 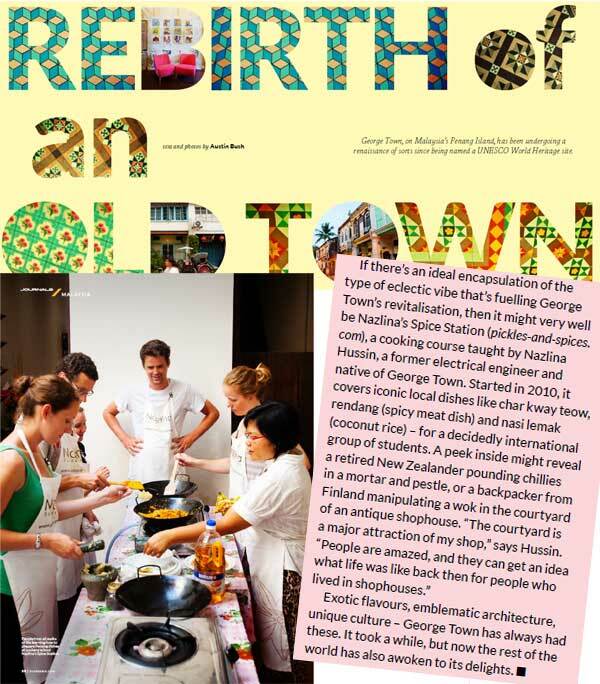 Voice of America did an article about George Town and couldn't ignore the traditional food class. 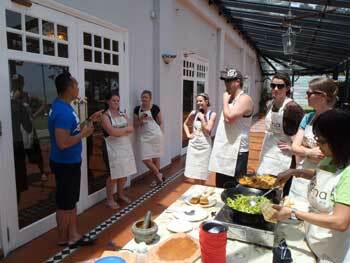 According to Taste.com.au (Australia) the Penang Cooking Class is an essential part of visiting Penang in 24 hours. See for yourself. In October 2011, Nazlina did some filming of the Kerri Anne show with Adam Liaw. Here are some photos. 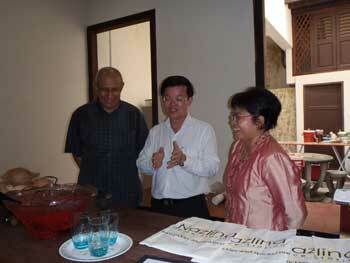 In the same period, Nazlina Spice Station was opened by Dato' Anwar Fazal. 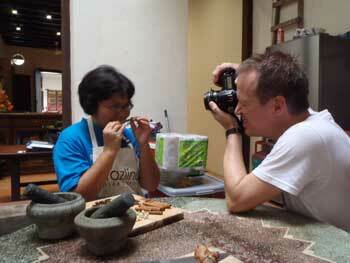 Christina did 15 different cooking classes all over Asia. She was impressed: read more. 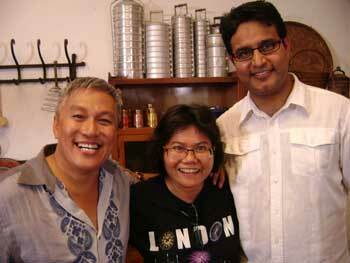 Meanwhile 2 famous Malaysians in the cooking world pay quite some attention to Nazlina. Chef Wan has declared that one day Nazlina will be his successor (nope, it's not on print). Chef Norman Musa joined a class in E&O. Meanwhile recommendations in Tripadvisor continue being great. I have to thank everyone who gives me the thumbs up! One of the latest recommendations come from Singapore Airlines by Austin Bush. Here is the full pdf. I could add another 20 or more articles by magazines, especially from Australia, Hong Kong, Malaysia and blog articles by wel known blogger but I will leave it here. What do you say about the cooking class? How did your cooking class go? Share it! There are many ingredients we use in the cooking class. This page offers you a glimpse of the variety of what you can expect. And remember, we use all fresh!